This holiday season, Ashley Basnight of Handmade Haven walks through four easy steps to create the perfect holiday home for Christmas. Read the blog to find out more! Christmas has always been one of my favorite holidays to decorate my home and today I’m sharing ideas on how you too can create the perfect holiday home for Christmas. This step is pretty obvious because you can’t do Christmas without any green, and definitely not without a great big tree. I used this 7.5 ft. 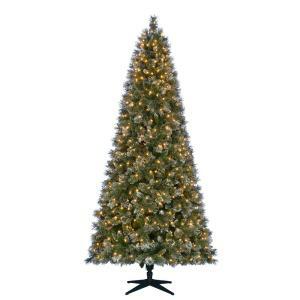 LED Sparkling Pine Artificial Christmas Tree as the centerpiece of my Christmas decorating. I especially love this tree because it comes pre-frosted and full of pine cones; these elements really give the tree a holiday feel when fully decorated. I also decided to utilize this holiday garland with pinecones and bows on my faux fireplace mantle to add some more greenery to my home. Garlands are definitely a popular additive for Christmas and the garland that I chose is a step up from an ordinary strand. I especially love the modern feel to it with red bows, pine cones and frosted leaves. After putting the greenery in place, I wanted to add in a few traditional holiday elements that would really create a Christmas vibe. 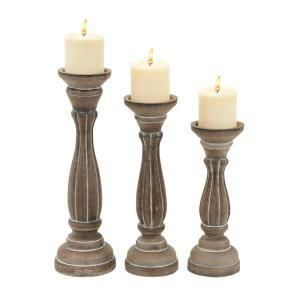 I added these Rustic Brown Round Pillar Candle Holders to my faux fireplace mantle to create a warm feel. I especially love that the candle holders look slightly frosted; they matched up perfectly with my snowy garland. Another easy and traditional way to add a holiday feel while decorating is by adding ornaments to the tree. 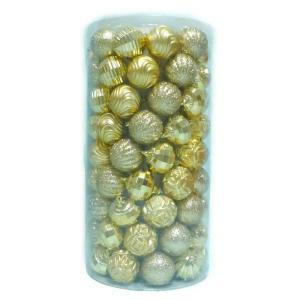 With this 100-pack of Gold Ornaments, I was able to fill up my whole tree with ornaments, and the different designs on the ornaments gave the tree a creative feel while still maintaining a uniformed look. 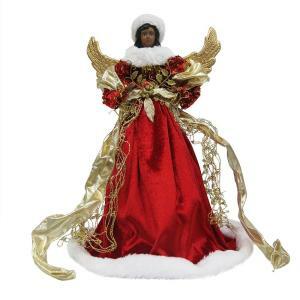 One of my other favorite holiday elements that I added was this Ethnic Red Angel Christmas Tree Topper. It is absolutely gorgeous, and the red outfit on the angel really made it pop on the tree. 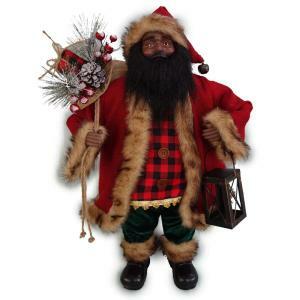 This Ethnic Fabric Santa was also a great holiday touch to add to my faux fireplace. It’s hard to decorate for Christmas without getting Santa in there somewhere. He fit right in with the Christmas decorations. Christmas always feel like a magical time to me, and adding in lighting just makes it that more magical. 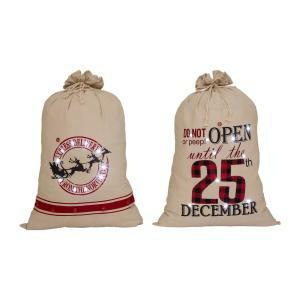 I especially love these LED Lighted Burlap Christmas Gift Sacks. It’s more of a non- conventional way to bring some lighting into your space but it can serve multiple functions. They have plenty of room to hold plenty of gifts; a great way to hide some gifts from the kiddos and with a press of a button, the LED lights on the gift sacks light up. 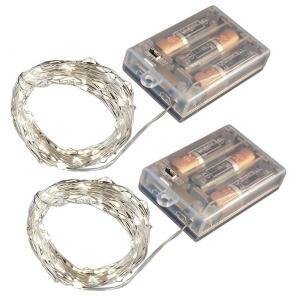 These Lighted Holiday Gift Boxes with Bows were also a great additive to bring in some lighting and with them running off batteries, they were easy to place and move around easily. They come in a pack of three in all different sizes, so whether you want to place them all together or separate them out, this gift box set gives you plenty of options. Along with the pre-lit tree, all of the lighted items made the room feel like a magical oasis. These items will definitely make it worthwhile during later nights, when lit up in the night. The last step in decorating for the holidays is adding in personal elements to make it my own. One of the ways my family personalizes our Christmas decorations is by adding in older ornaments that we made as kids, or years prior. Christmas is always better when you can personalize it with family traditions. With these four easy steps, I was able to decorate my home for the holidays and now I’m ready to enjoy some Christmas cheer! Venture over to The Home Depot Blog for more holiday decor ideas.